Are you a BUSINESSMAN who desires to make your venture prosper? Are you an EMPLOYEE who wants to provide for your needs and have extra to invest? Are you a RETIREE who hopes that your funds will comfortably provide for you for the rest of your life? If you are any of these, allow us to help you achieve these goals. Join us on August 19, 2017 at SMX in SM Aura, Taguig. 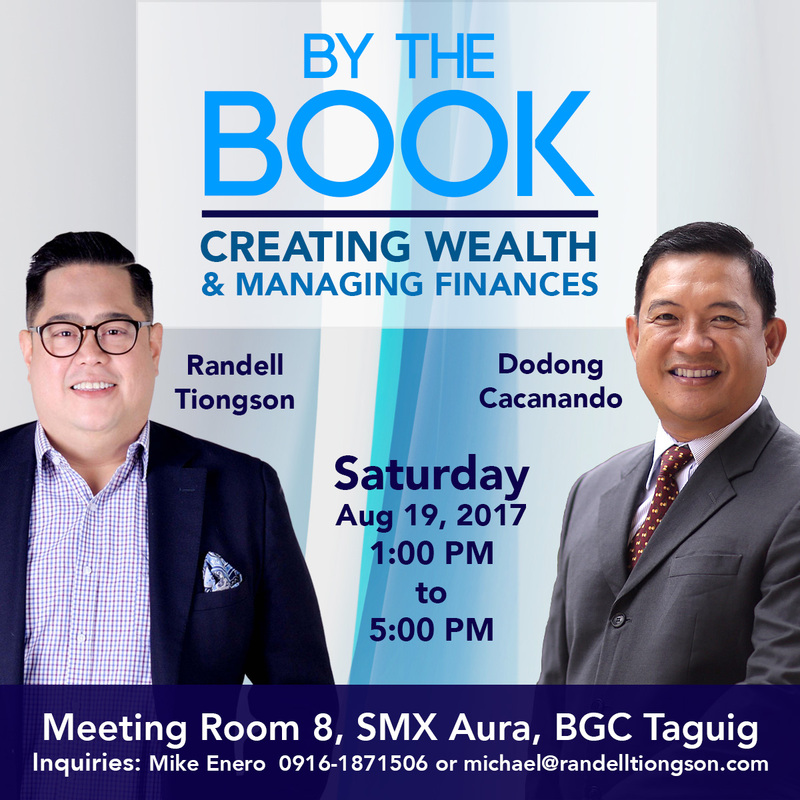 Let Dodong Cacanando show you how you can create wealth by doing business and growing in your career, so that Randell can teach you how to manage and continue to grow the wealth you created. Jose Feron “Dodong” Cacanando is a former executive of Hewlett Packard, Philippines. In 1998, he resigned from his job and moved his family from Manila to Bukidnon. In spite having no farming background and meager resources to start with, he was able to establish Moriah Farms, where he now grows different livestocks and vegetables. He grows hogs for Monterey and at one point became the biggest lettuce supplier for McDonald’s in the Philippines. He shares the story of his amazing journey in his first book Breaking Through: A Man’s Journey to Fruitfulness (2014). He has a unique way of managing his business; he uses the Bible as a business manual, the plant as a model on how to become profitable, his corporate experience to put structure in his organizations and the things he learned as an entrepreneur to make prudent decisions. Today, he also heads a foundation named “Semilya sa Kinabuhi, Inc.” where they teach his unique approach to life and business. Last year, he released his second book, entitled Keeper of His Garden: Breakthrough Principles for Life and Business. His goal is to share these principles to as many people as possible so that they too can experience breakthroughs in life and become fruitful in their businesses. As Dodong Cacanando shows you the right way to build your wealth, allow me to show you how you can manage your finances and build your wealth through the proper way of handling money and investing. The learning investment for this life-altering experience is only P1,200.00, an amount that is guaranteed to give you exponential returns. Slots are limited and we will close registration once we hit 150 persons, we wanted to make this a more intimate experience so we are limiting the audience. Deposit or transfer P1,200.00 per ticket to BPI 0249-1113-09 or BDO 006440069496 (John Randell Tiongson). Take a photo or screenshot of your deposit slip or transfer advice and email to [email protected] and wait for his advise as to how you can receive your ticket. Here’s more! 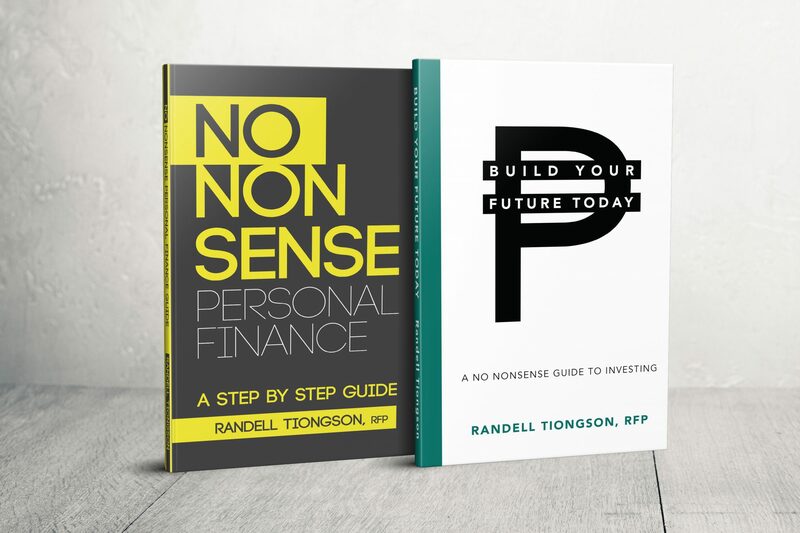 As a participant to the event, you may avail two of my books at with a 40% discount: No Nonsense Personal Finance and Build Your Future Today, available at the venue. Both books are a perfect pair as you seek financial peace. Join us and help us create your wealth and manage it using principles that work and change your life. I am a teacher for 18 yrs and I am already thinking of retiring. I think this endeavor will help me. Thank you. Good pm, i will attend on August 19.. Please email [email protected] on how to order. Im interested to attend for added knowledge, but I’m not yet sure if I will be able to do so..I truly want to avail of these books ” NO Non Sense, ” Build your future today” and “Creating wealth and managing your finances” which I want to learn and understand further and which I also want to share with my children and friends. Thank you. More power! God bless! I am interested to attend the seminar. Are all your books available during the seminar at 40% discount? Sir I’ll try to send my deposit slip at your e-mail([email protected] I can’t send it mailer daemon replied. I plan to attend after our Missions conference in the morning. Hi sir. Do you still have slots for this seminar on saturday? Thanks.